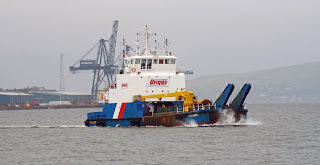 Briggs' mooring vessel Cameron heading for Great Harbour 18 January 2014. 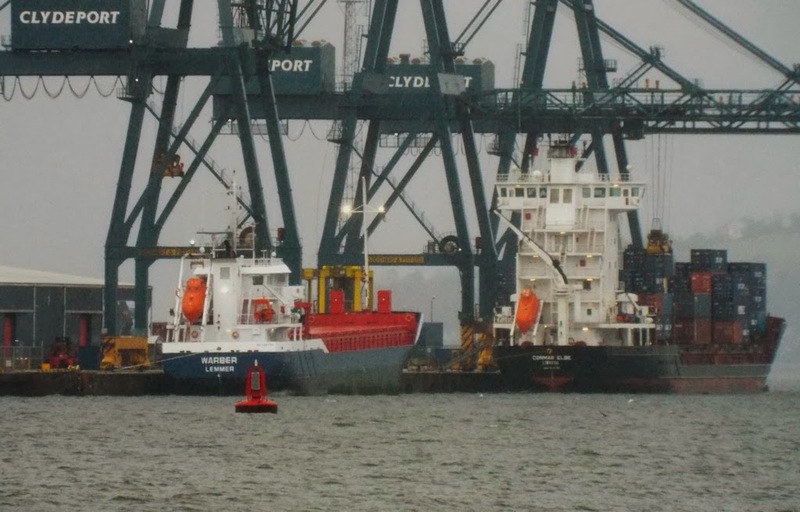 Coaster Warber and container vessel Conmar Elbe in unpleasant conditions at GOT 18 January 2014. 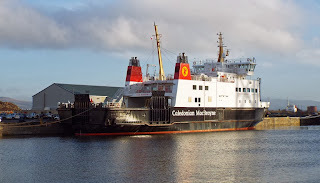 Caledonian Isles in JWD with a nice fresh paint job 18 January 2014. 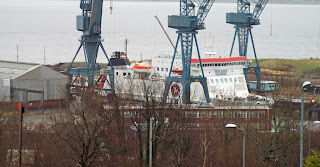 Isle of Man Steam Packet Company ferry Ben My Chree in Inchgreen drydock for emergency repairs 18 January 2014. 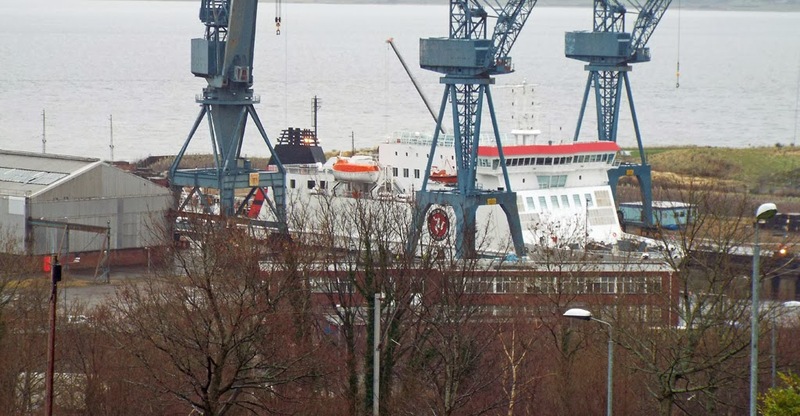 Minehunter HMS Grimsby (M108) off Greenock 13 January 2014. Calmac's Wemyss Bay to Rothesay service was reduced to one vessel "for technical reasons", meanwhile however, all was quiet with Bute in JWD 13 January 2014. 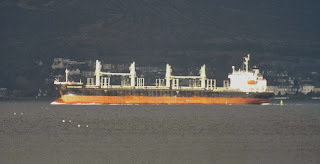 Bulk carrier Genco Reliance outbound 13 January 2014. 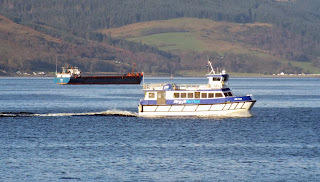 Argyll Ferries' Ali Cat on service (coaster Stadum in the background) 11 January 2014. 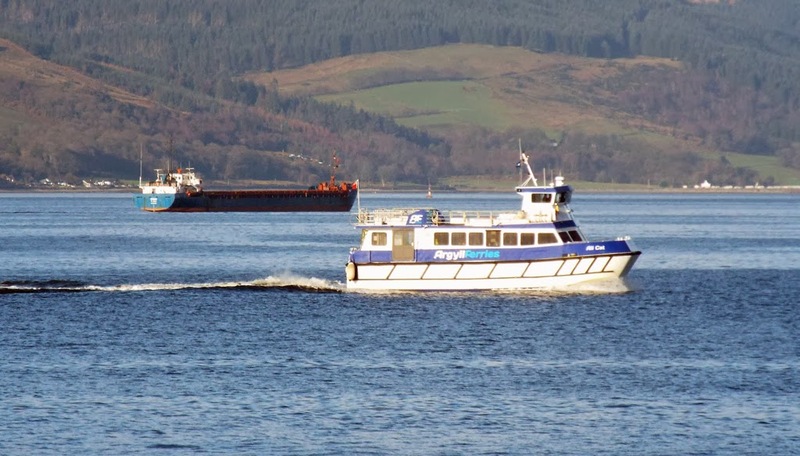 Seemed like the first sunshine of the year! 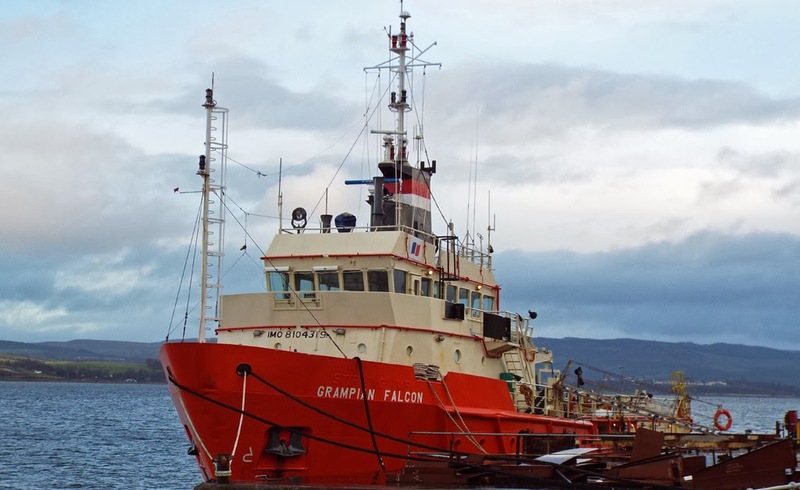 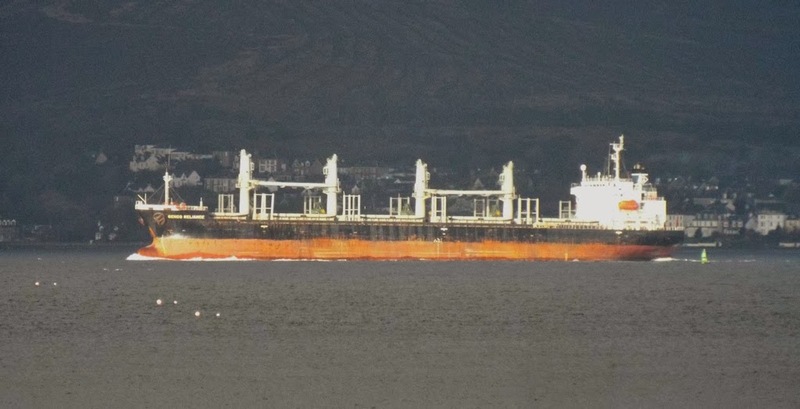 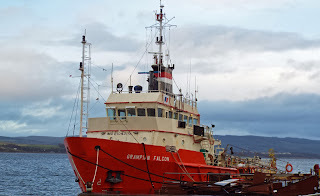 Safety vessel Grampian Falcon at Ferguson's Port Glasgow 11 January 2014.